Everybody has a favorite color. Some like blue balloons or brown buildings or mint green ice cream cones. Others prefer sunshine yellow, Maine morning gray, or Mexican pink. In What’s Your Favorite Color?, fifteen beloved children’s book artists draw their favorite colors and explain why they love them. 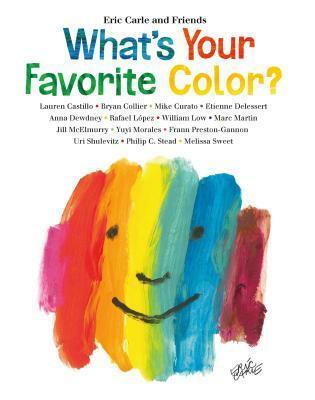 This personal collection will undoubtedly inspire readers to create favorite color drawings and stories of their own!